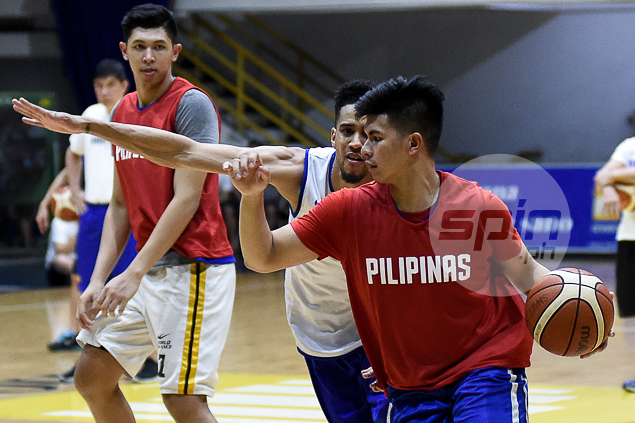 Gilas Pilipinas has been putting in the work months ahead of the Manila leg of the FIBA Olympic Qualifiers in July, where the team faces global basketball contenders like France and Canada for a slot in the 2016 Rio Olympics. 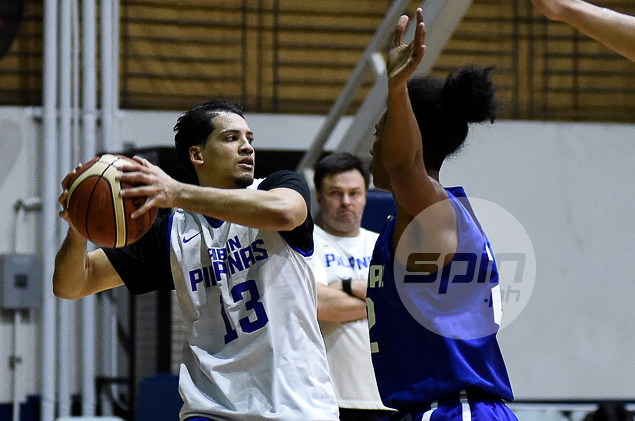 Since last year, Gilas has already held weekly practices every Monday night even as some of the members of the selection pool are helping their respective teams in their PBA campaign while others are dealing with injuries. By the time the playoffs of the PBA Philippine Cup began, Gilas management decided to suspend practices until it resumed two weeks ago after a two-month break. 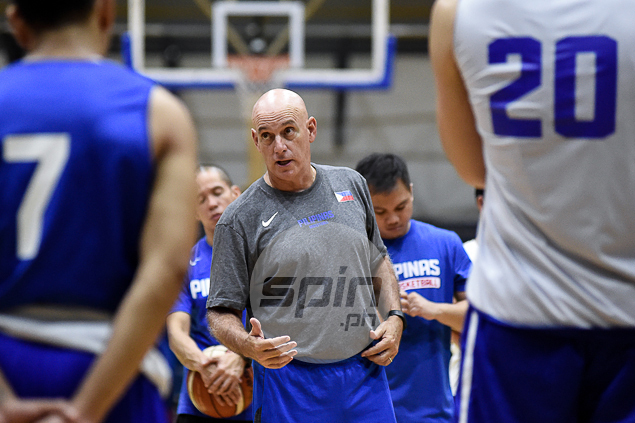 However, Gilas coach Tab Baldwin was far from satisfied with the faltering attendance and participation of the players he selected, a trend that was also a factor in the postponement of the weekly practices. 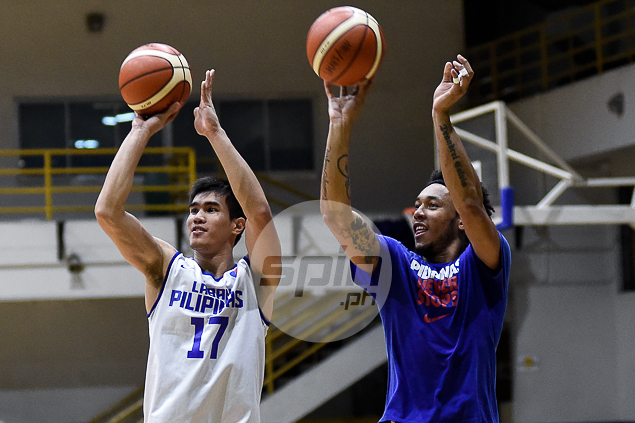 Collegiate and amateur standouts like Kiefer Ravena and Kevin Ferrer had to fill in late last year as the practices hardly had a full roster. "It's been consistent: absences and lack of participation in practices. And a lot of it are sometimes for good reasons—reasons that we have approved. But that didn’t help me do my job. 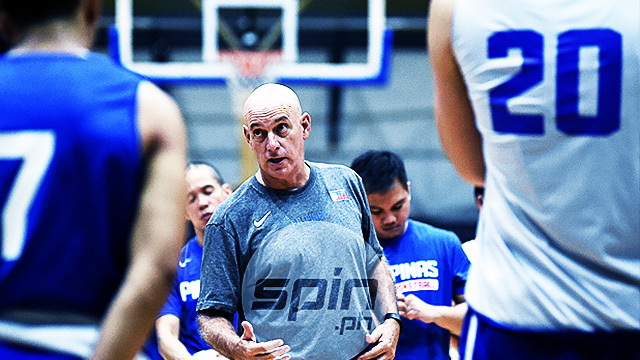 I want to do my job as well as I can for Gilas… And I need the compliance of the players to do that," Baldwin said in an interview with SPIN.ph. 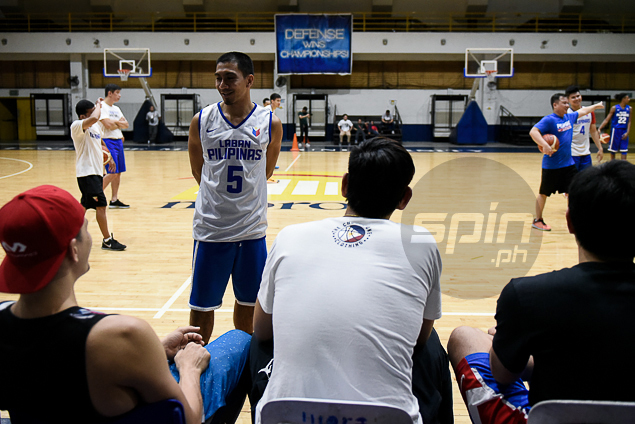 When only 13 players, including injured stars June Mar Fajardo and Marcio Lassiter, showed up for the first Gilas practice in two months, Baldwin was left with no choice but to implement stricter rules in excusing players from practice: Only injured players are allowed to sit out. 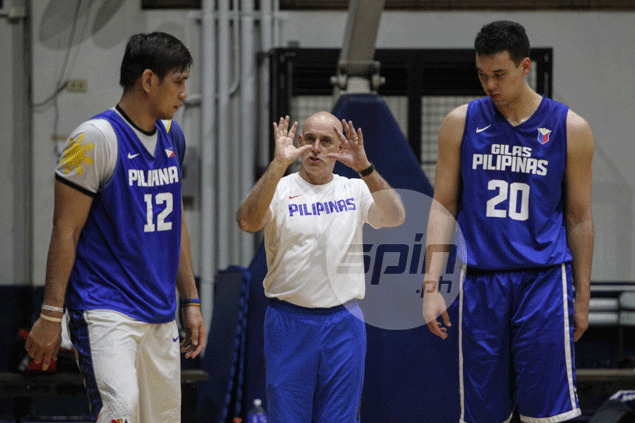 Fortunately, the members of the Gilas pool responded to the coach's call. A week after Baldwin's ultimatum, Gilas Pilipinas nearly had a perfect attendance, save for Terrence Romeo and Ian Sangalang who were nursing injuries at the time. Lassiter entered the court no longer in street clothes to join Gilas stalwarts LA Tenorio, Gabe Norwood, Jayson Castro, Ranidel De Ocampo, Matt Rosser, Greg Slaughter, Calvin Abueva, Japeth Aguilar, and Troy Rosario while Fajardo, Marc Pingris, Jeff Chan, Paul Lee, and Ryan Reyes observed from the sidelines. Also present were Gilas pool reserves Mo Tautuaa, Ravena, and Ferrer. The following week had a few more surprises, drawing its largest turnout to date with 15 players suiting up, including Fajardo, Romeo, and former FEU star Mac Belo who practiced with Gilas for the first time. Sangalang remained absent while Rosser also missed practice, but Lee, Chan, and Tenorio sat out due to injuries. Also present to observe were Dondon Hontiveros and another former Tamaraw Roger Pogoy, who would have joined the squad in practice if not for a minor hamstring injury. Baldwin was pleased with the turnout but remained realistic about their progress. "I'm happy with the turnout and what we accomplished," Baldwin told SPIN.ph after the practice. 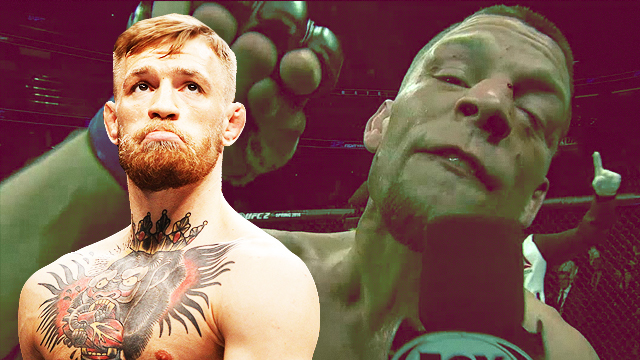 "They still need a little bit of pushing. They still are months away and the attitude that goes with that is still present, but I think that we are making strides."